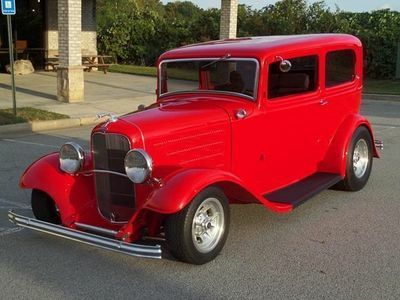 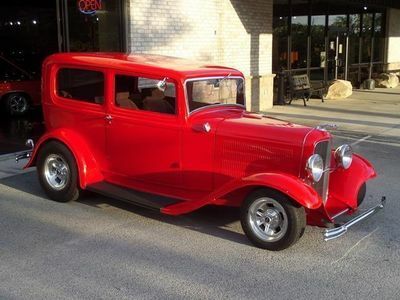 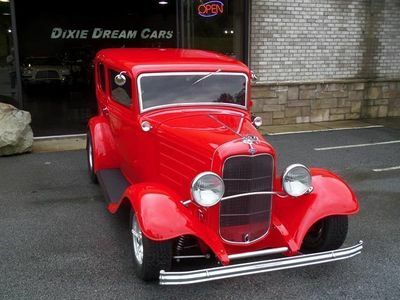 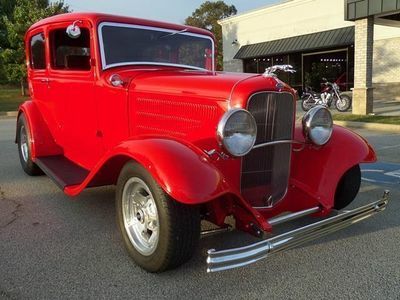 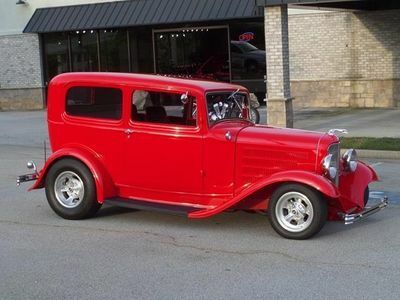 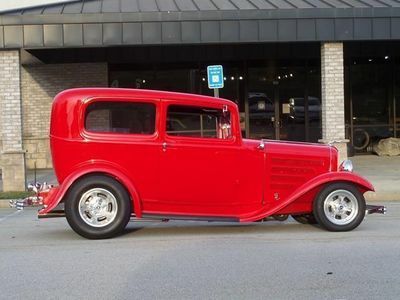 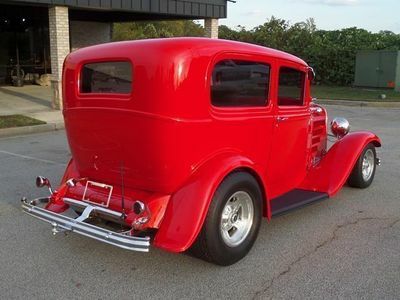 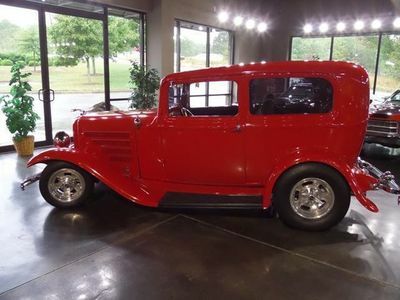 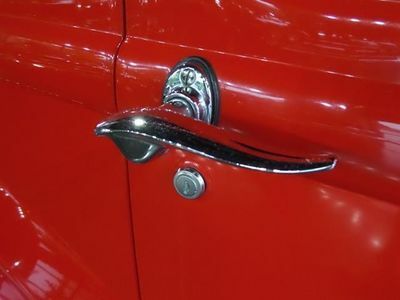 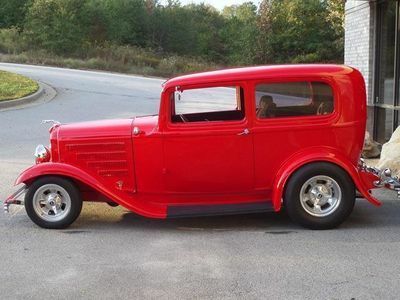 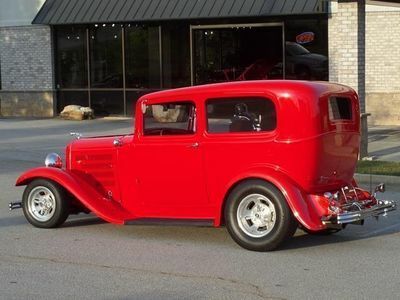 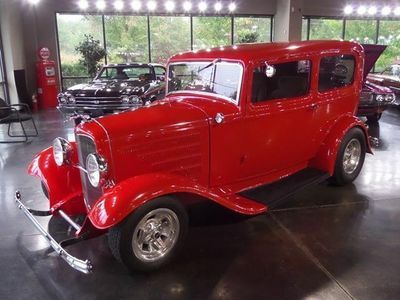 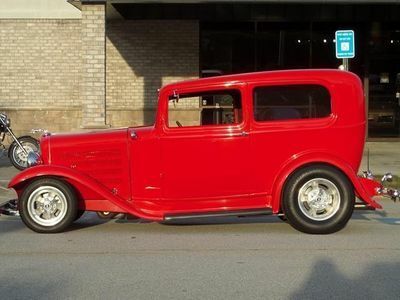 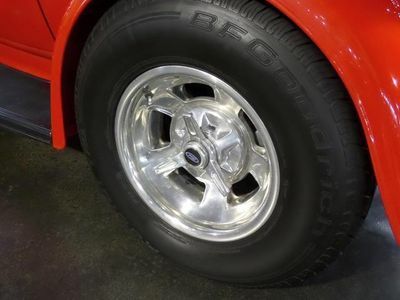 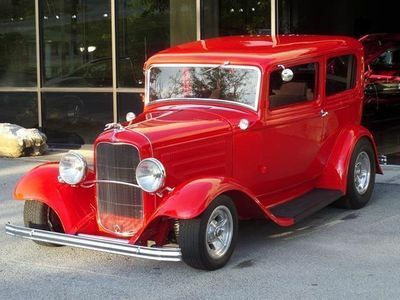 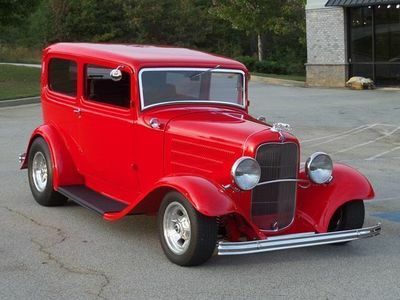 This Bold, Red, Fully Restored, Antique Ford is a Steel Body Original with Modern Upgrades and Conveniences! 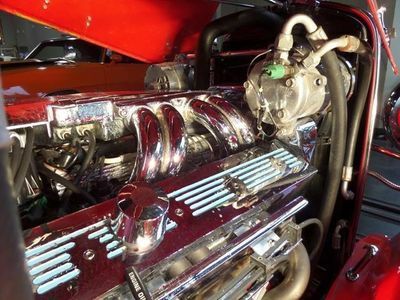 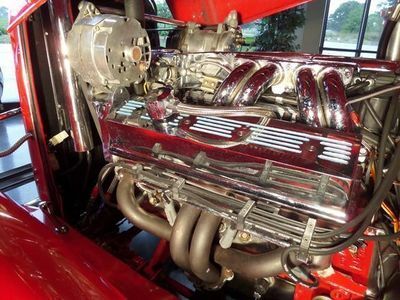 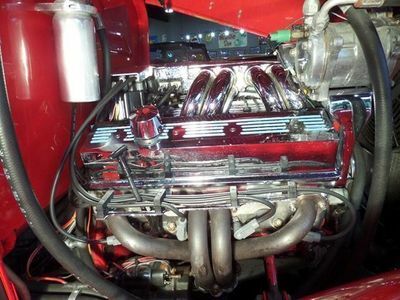 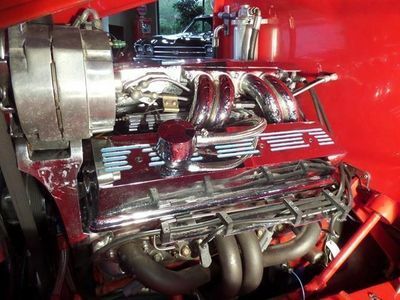 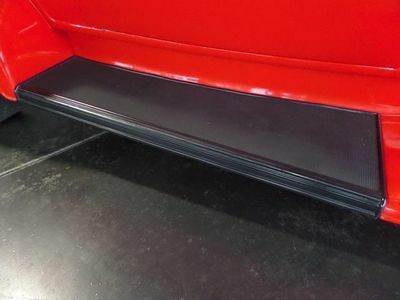 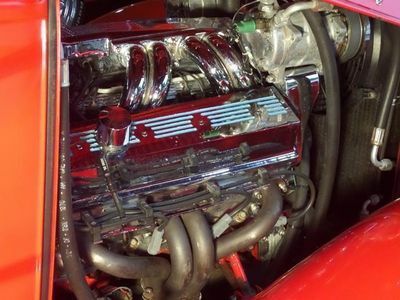 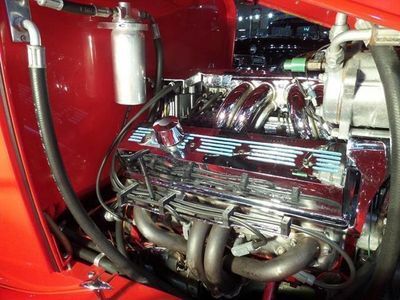 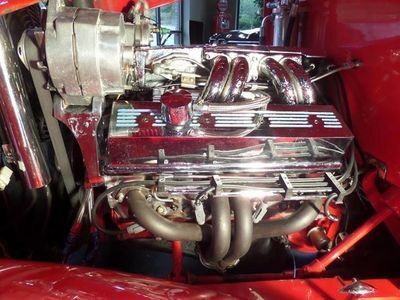 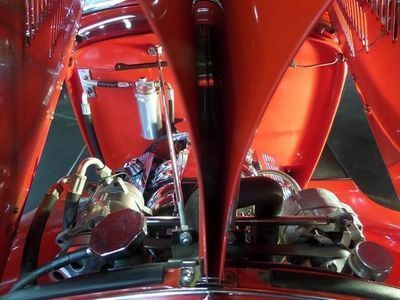 She features a Powerful, Rebuilt, 5.7L Tuned Port Injection V8 Corvette engine mated to a THM 350, Air-Cooled Automatic Transmission connected to a Ford 9" Rear End. 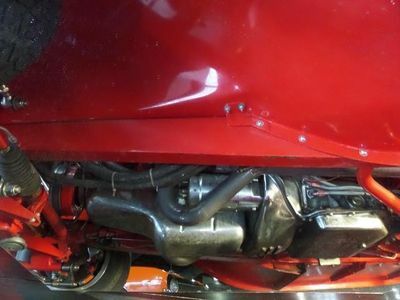 Supporting this Modern Drivetrain is a Solid Chassis. 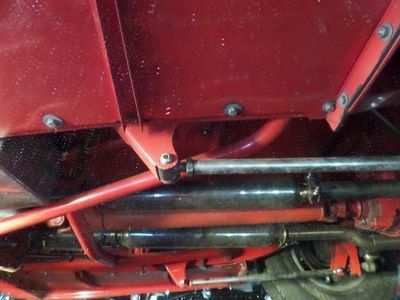 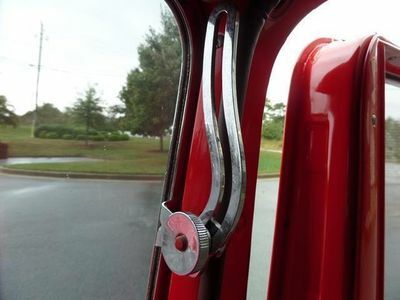 She has a Pete and Jakes Tubular Cross Member with Ladder Bar connecting her New Frame Rails. 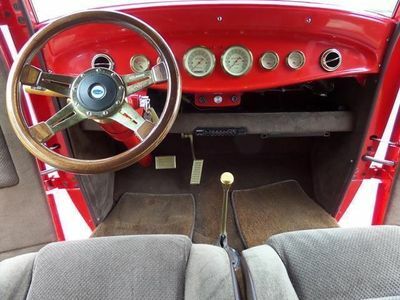 Driving her is as Exciting as it is Pleasurable. 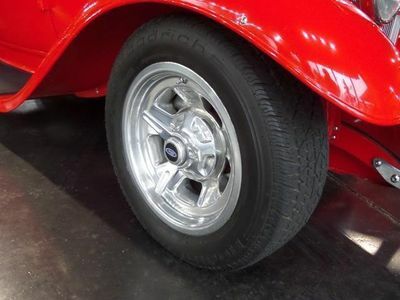 Expect Responsive Handling and a Smooth Ride with Rack & Pinion Steering, an Independent Front Suspension with 2" drop spindle, a 4-Bar Triangulated Rear, Front & Rear Coil-Over Shocks and Disc Brakes all around. 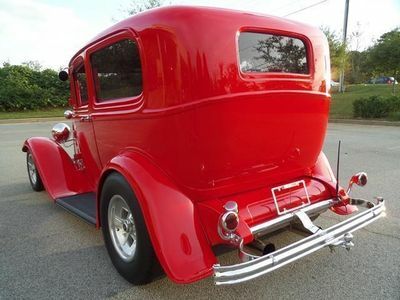 Elegance with Attitude is an apt description for this Custom Ford. 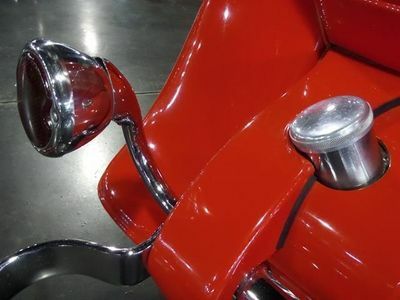 Her Elegant Red Exterior is tastefully adorned with Polished Stainless Steel, Polished Aluminum and Chrome accessories. 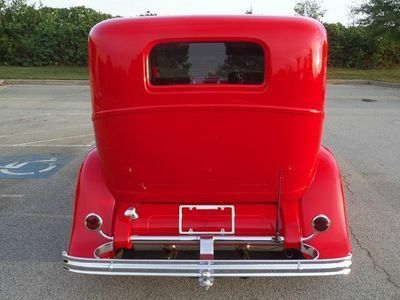 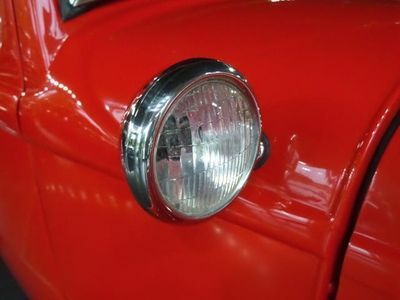 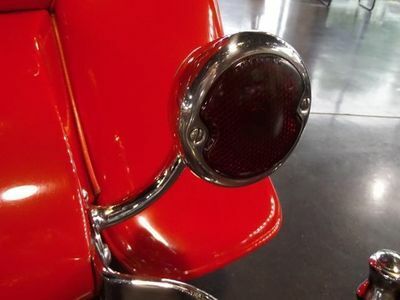 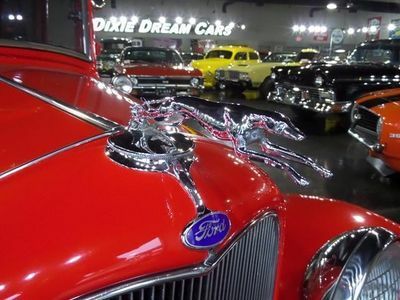 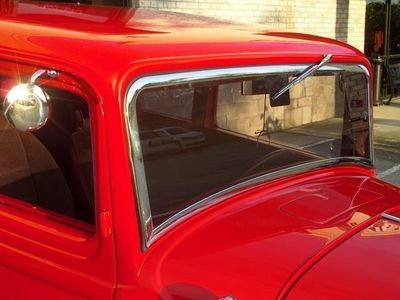 The Gleam from her Polished Stainless Steel Headlamp Buckets, Headlamp Arm, Cowl Lamps, Spreader Bars, and Fuel Tank, and Chrome Bumpers, Side View Mirrors, Grille, Greyhound Radiator Cap Ornament and Windshield Trim accents her Slick Red body without detracting from her Classic lines. 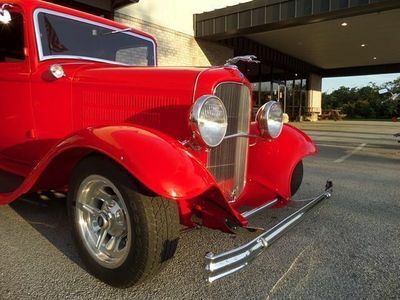 An Attitude of Confidence exudes from her subtly raked stance, tinted windows, black molded rubber running board covers and BF Goodrich Radial T/A tires mounted on Aluminum Halibrand Sprint wheels. 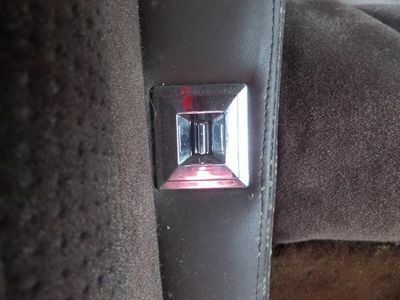 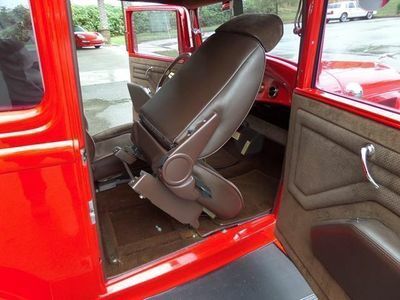 Open her up to find a Comfortable, Convenient, Custom Interior. 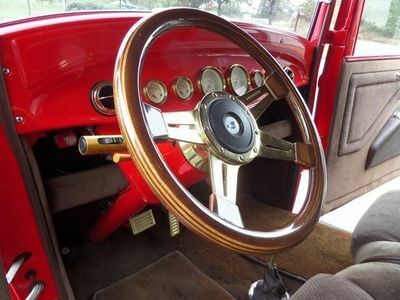 Rich tones of Red and Brown with Gold accents create a lush and inviting cabin. 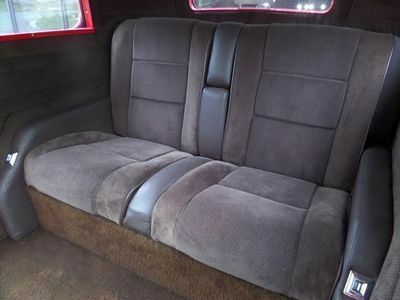 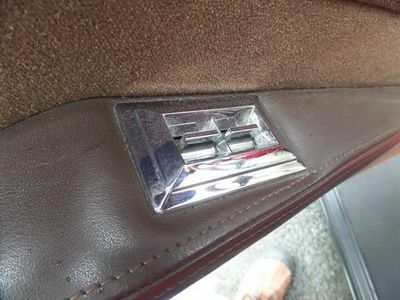 Her Interior Upholstery has been completely updated in Decadent Chocolate Brown. 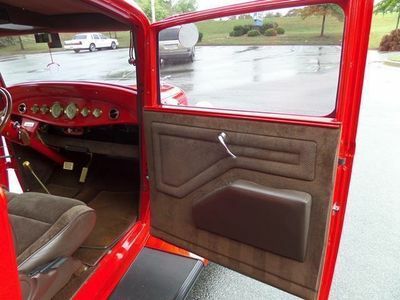 Full Interior Paneling extends lavishly from her Plush brown carpet to cover her door panels, cabin walls and ceiling. 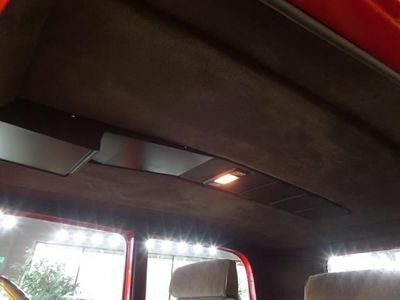 The combination of Sound deadening insulation and Upholstery make for a Luxuriously Quiet cabin. 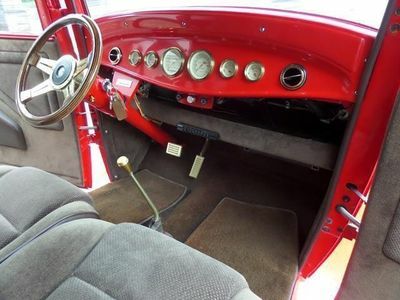 Her Front Seating has been upgraded to Modern Highback Captains Chairs with Adjustable Headrests for Comfort. 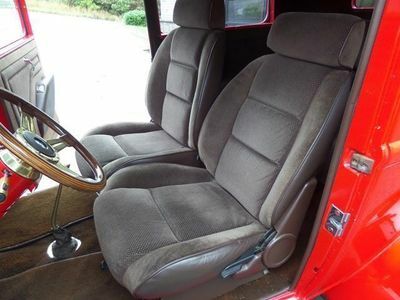 Her front seats Lift & Tilt, for easy access to her rear seats. 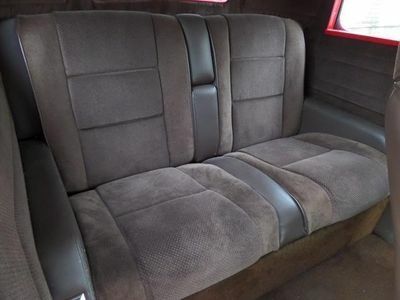 Her custom rear seating is just as comfortable as the front with Highback seats, side and center armrests. 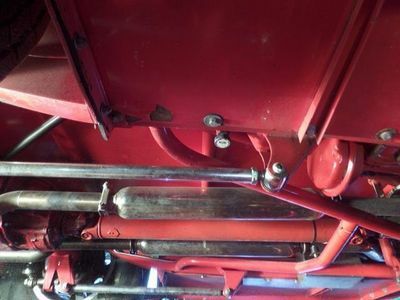 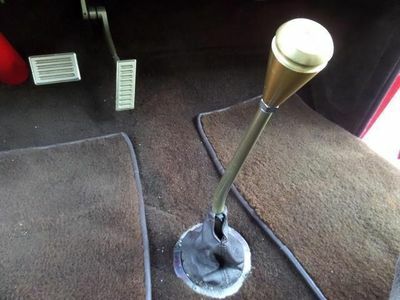 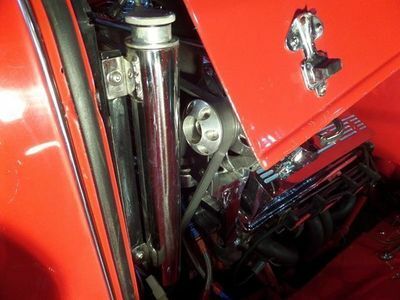 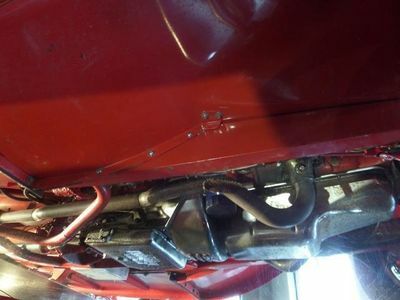 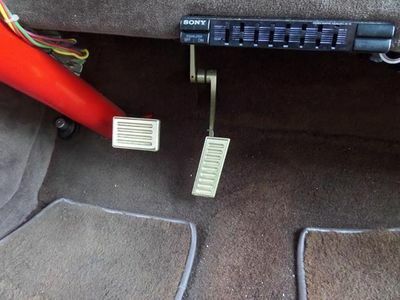 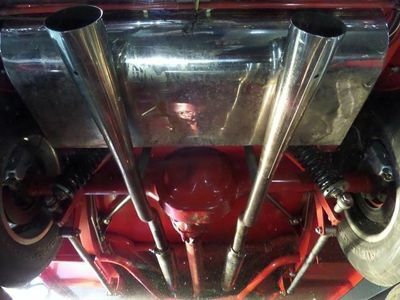 Everything is conveniently laid out for the driver of this Street Rod, starting with her ignition (no pun intended, ok, maybe a little pun intended) located on her Custom Tilt Steering Column. 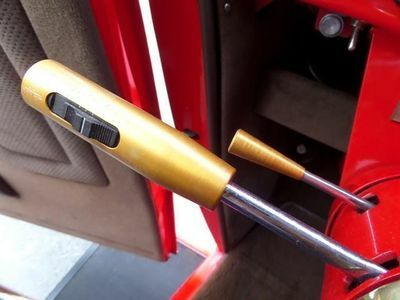 Her Cruise Control on the Turn Signal lever and the Stainless Steel floor mounted gear shift with Gold tone knob are at your fingertips. 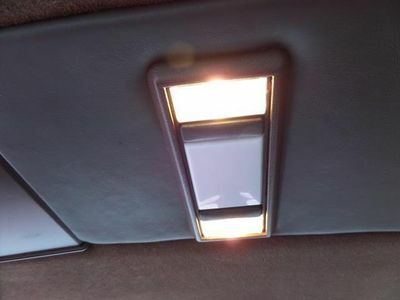 An overhead console houses your interior lighting and radio. 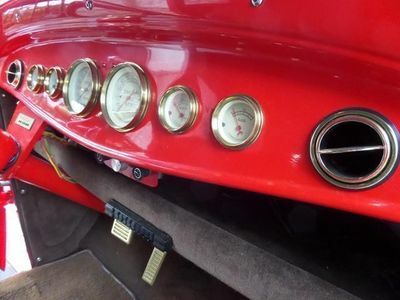 As you sit behind her Custom Lecarra, mahogany and gold, steering wheel, it's hard not to notice the beautiful instrumentation mounted into her steel dash. 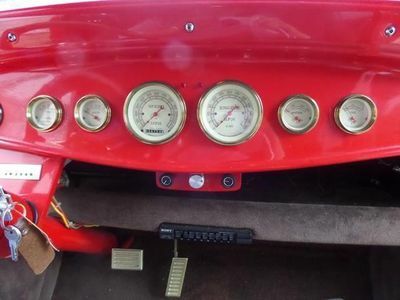 Six, gold bezel, Vintage Series gauges by Classic Instruments provide you with accurate readings to ensure you that your vehicle is operating at optimum levels. 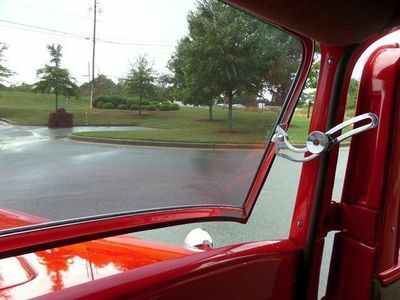 If you Enjoy cruising with your windows down, you are going to love this! 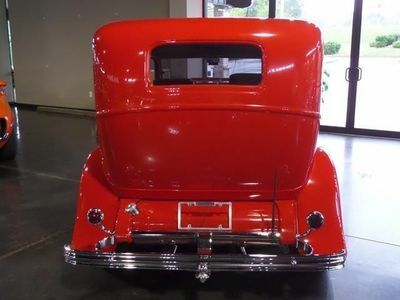 Her front and rear windows are electric, And her front windshield Tilts Open on Stainless Steel Slide Arms! 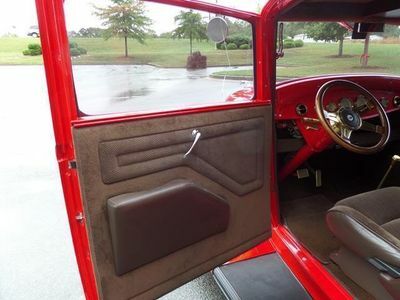 Granted you probably won't want to have all 5 windows open while driving down the interstate, but what could be better than a Slow Sunday drive, breathing in fresh country and letting the stress from a busy week just Slide away. 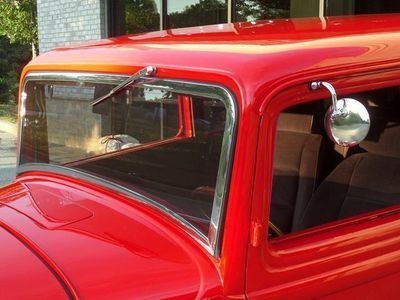 On those hot Summer Days, you will probably want more than a breeze to cool you down. 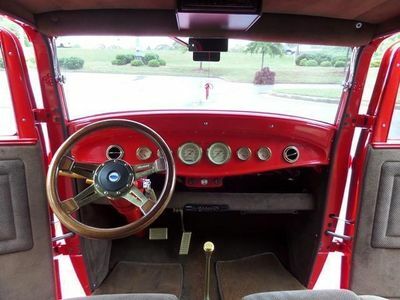 This Classic Cruiser has the Modern Marvel of Air Conditioning! 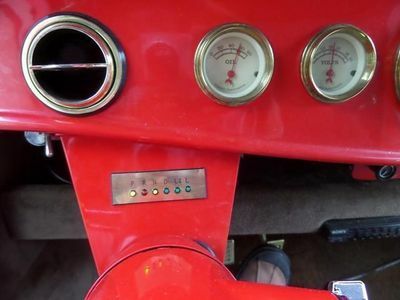 Her Reliable Vintage Air System blows Icy Cold or Deliciously Hot with the turn of a dial. 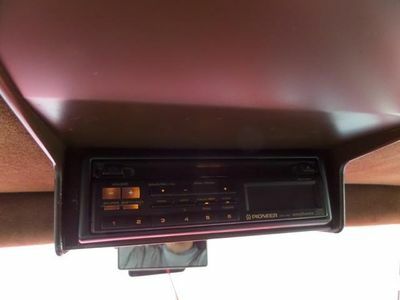 So, now that you are comfortably seated and your quiet cabin is just the right temperature, it's time to play your favorite driving music. 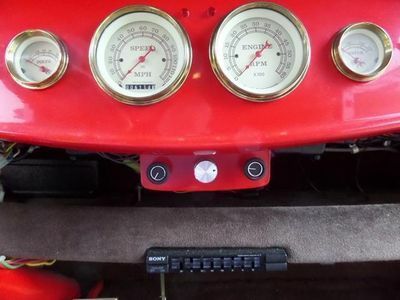 Whether you enjoy Cruising with the Oldies or Jamming to Modern Rock, these Pioneer and Sony sound components combine to create a superb listening experience. 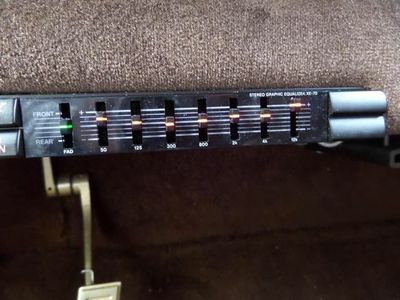 The Sony Graphic Equalizer and Power Amplifiers are high quality, older units connected to the Pioneer FM/AM CD Player with Phoenix Gold stereo cables. 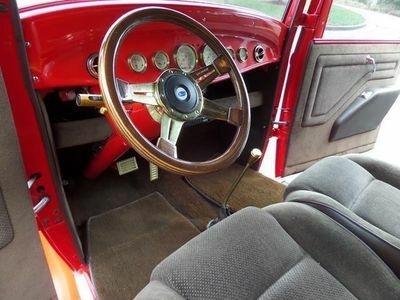 Go ahead and engage your Cruise Control to ease on down the road in Classic Style and Modern Comfort. 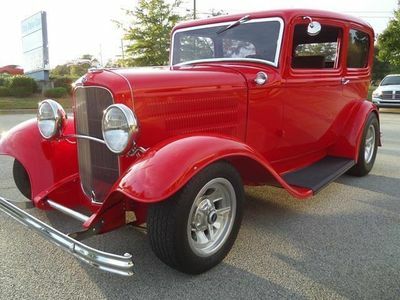 It is getting harder and harder to find an All Steel 1932 Ford Model B, especially in this condition. 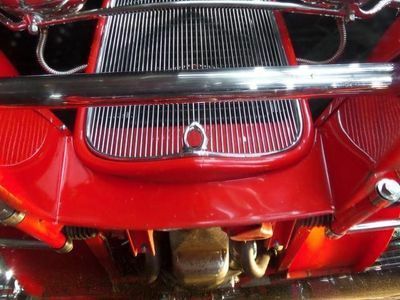 Many people settle for fiberglass kits, but why settle for an imitation when you can have the real thing?? 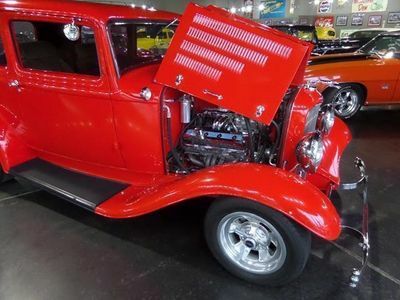 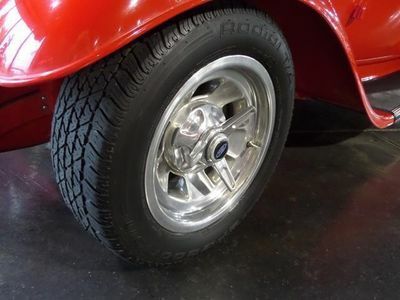 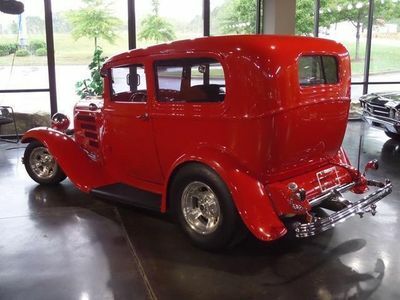 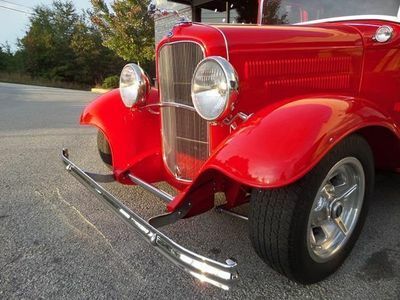 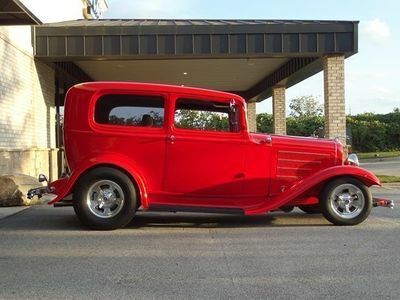 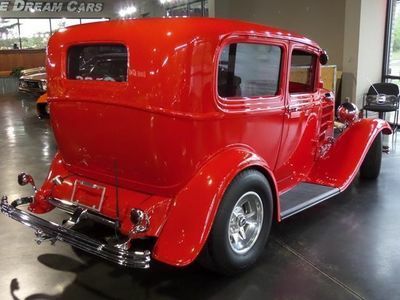 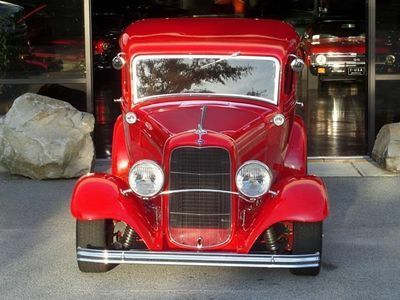 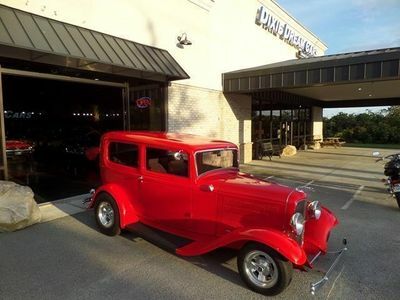 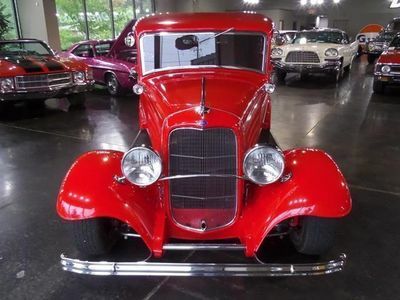 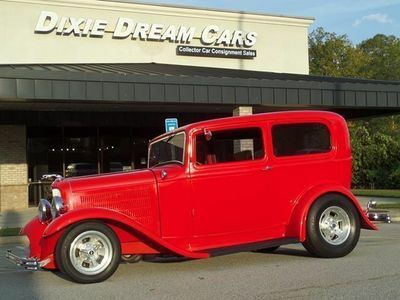 Garage Kept and Meticulously Maintained since her restoration, You will be proud to own this Stunning Custom Street Rod. 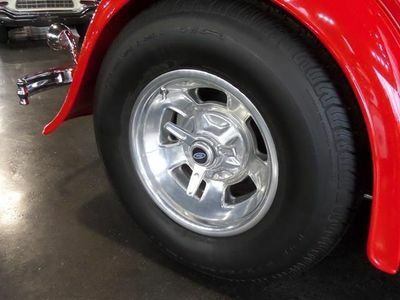 With a 5.7L TPI Corvette engine, a Reliable Modern Drivetrain, and a Top-of-the-Line Chassis, this is Solid Southern Belle is equipped to provide many years of Driving Enjoyment. 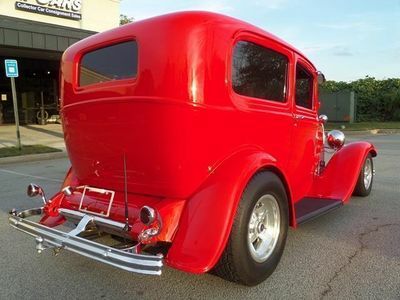 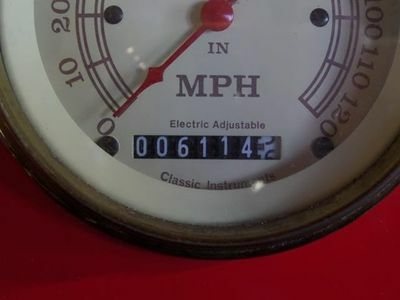 Whether you desire her for her Collectability or her Drivability, investing in this Fully Functioning Antique Ford makes sense. 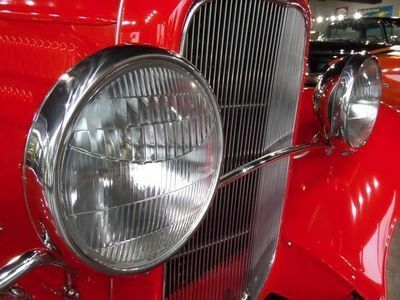 Experience the Look and Feel of an Exciting Iconic American Classic with the Dependability of Modern Engineering! 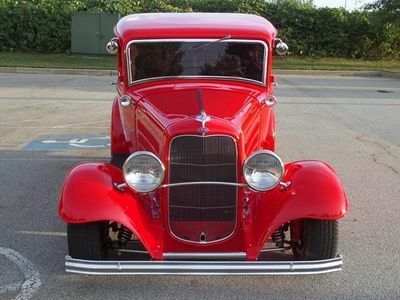 This Rare Beauty is going to sell fast. 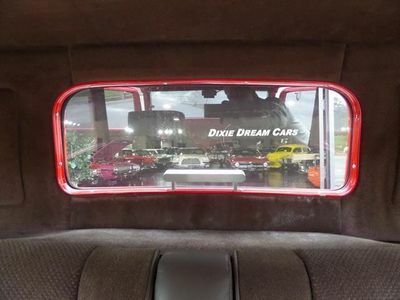 Are you her new owner? 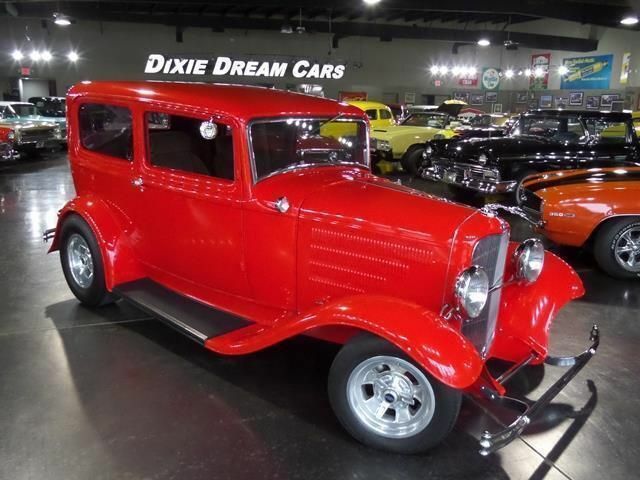 Call, Text, email or just Come By Today and we will help you realize your dream of owning this Gorgeous Piece of American Automobile History.